How do you stack up against a high-performing sales team? 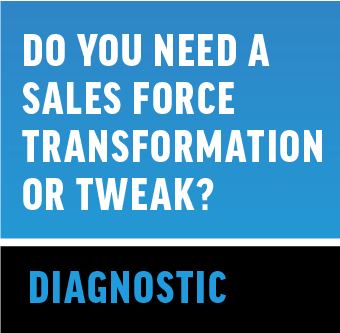 Does your sales force need a tweak or a transformation? Review implications and recommendations based on your responses. Based on Symmetrics Group's book 7 Steps to Sales Force Transformation (released January 2016).